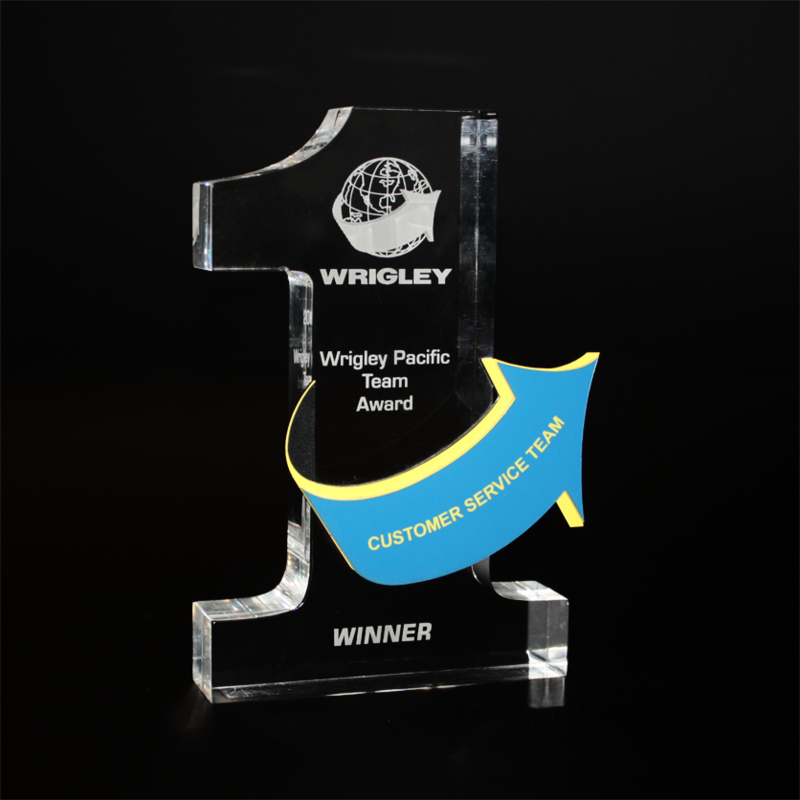 These striking awards start as a large block of clear acrylic. The acrylic is machined in house to the shape of a number 1. The bulk of the award details are engraved onto the reverse side of the acrylic block with the winners’ detail being featured on a custom cut coloured laser plate. This plate has been cut in the shape of an arrow which is seen to almost wrap around the structure of the award. The use of the coloured laser plate adds an accent of colour to the otherwise monochromatic award.